Things" came out in 2008.
emotions that linger after her tales conclude. BookWomen. Thanks for your good stories. 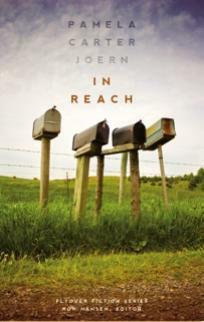 . .
Pamela Charter Joern's book, In Reach, is a Winesburg Ohio for the contemporary Great Plains. plains. I loved this book. you will find these folks in reach of your heart. she tells her stories, she lets us know that she understands our broken, beautiful, humanity.